Imagine you have to go somewhere, you rely on your car to take you to your destination seamlessly and comfortably as usual. You are already envisaging the smooth ride, your favourite radio show in the background, the heater on, maybe a cup of coffee on your side (careful with that!). Then, you open the door and you sit in your driver seat. 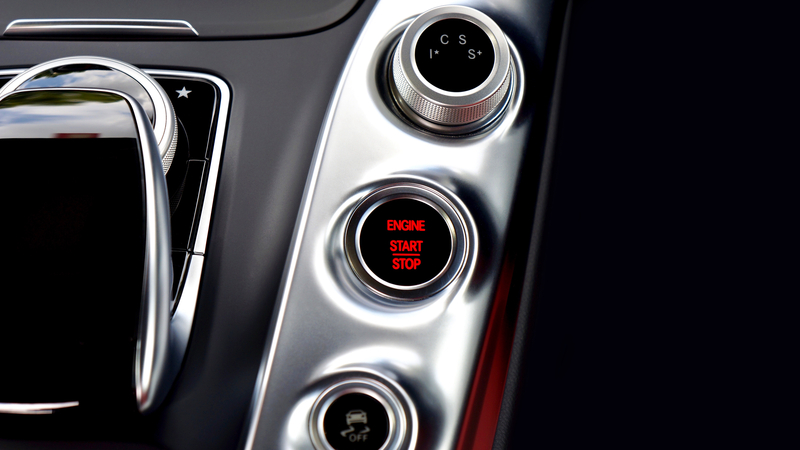 Like a thousand times before you turn the keys (or hit the ‘start’ button, if your car is a fairly new model). Nothing happens. How come??? All your lights are on and there are no signs of low power supply – it can’t be the battery. Then a sudden realisation. You are dealing with a failing or bad starter motor. Have you ignored any signs? Did you know what signs to look for?? If you think this could be you, then we hope this article will shed some light on a problem that is more common than you may think. Bad starter issues are relatively frequent and, as a garage, we deal with those on a daily basis. As we will go into some technical details, we provided links to simple explanations for some of the less common terms we will be using. We are not all petrol-heads after all! So, a starter is composed of two main parts: the primary motor that turns your crankshaft and starts your engine, and the solenoid that simultaneously engages the starter’s drive gear and closes the main motor’s electrical contacts. Starting system troubles may be caused by poor maintenance, or just by wear and tear. Even with decent maintenance, the different system components get a lot of wear during their service life and they are bound to have problems eventually. With more and more vehicles being fitted with stop/start technology the strain on starter motors and batteries has been greatly increased. Starter motors and solenoids don’t typically fail outright. If you notice the following warning signs, make sure you contact your trusted local garage to book a complete inspection of your vehicle as these symptoms might indicate problems with more than one component. When the starter drive gear is worn out or not engaging properly, it will often produce a grinding noise. This is similar to the one that is heard if you start your engine and then accidentally action the ignition switch again. If the grinding symptom is ignored, it may also result in damage to the engine flywheel. Freewheeling occurs when you crank the engine and simply hear a whining noise without the engine cranking. When this occurs, it means the starter is not engaging with the flywheel. This is a worrying situation which could result in having to replace the whole component. If this happens, service your vehicle as soon as possible. 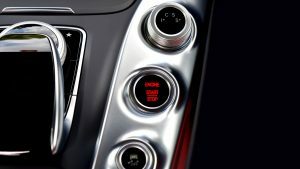 If you try to start your car and the engine doesn’t ignite instantly, but you action the switch once again and it works, this is most likely due to a problem with the relay. The starter relay is an all or nothing device, meaning that it either sends the full electrical current or it sends nothing to the starter. In some occasions, a damaged relay can cause the starter to make a clicking sound when you turn the key. 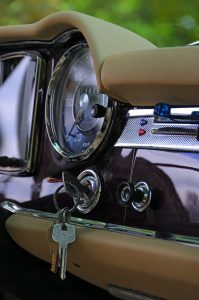 When you start the engine and release the key (or stop pressing the starter button on a new car), the circuit which will discontinue the power to the starter motor is supposed to close. If this stays on after the engine has ignited, the main contacts in the solenoid have most likely welded together in the closed position. If this problem is not addressed immediately, the relay will be stuck in the ‘on’ position. This will ultimately cause serious damage to the whole starter system and the transmission flywheel. If power is supplied continuously to the starter gear, it will eventually overheat. Smoke usually indicates that too much power is being drawn through the electrical supply. This is either because the starter has been operated too long without a rest or there is a connection problem. 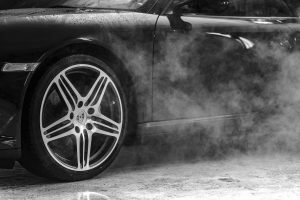 Smoke coming from underneath the engine, accompanied by a burning smell, can be a symptom of serious problems. It may appear that you have power to your starting system, eg, you have lights on your dashboard and your headlights are working, but the engine will not turn over. This can be misleading as a lot of battery power is required to crank your engine over. If your car does not crank, trying to start it with jump leads or a starter pack will indicate if a weak battery is the cause of your problems. 9 out ot 10 cars with starting problems during winter months are battery related. At Exminster Garage we offer expert solutions for a variety of mechanical issues. We also provide a wide range of car services to help maintain the smooth running of your vehicle. Don’t forget, at Exminster Garage we provide a free vehicle collect/return service within a 10 mile radius of Exeter. Book your next service here. This entry was posted in Latest News, Top Tips and tagged bad starter, bad starter symptoms, car won't start, failing starter, garage, service, starter motor, tips. Bookmark the permalink. ← Car won’t start in the cold? Possible causes and how to prevent them.